Launched this morning, WÜD Life has a new lineup of cases for the LG V20, Samsung Galaxy, and Google Pixel devices. 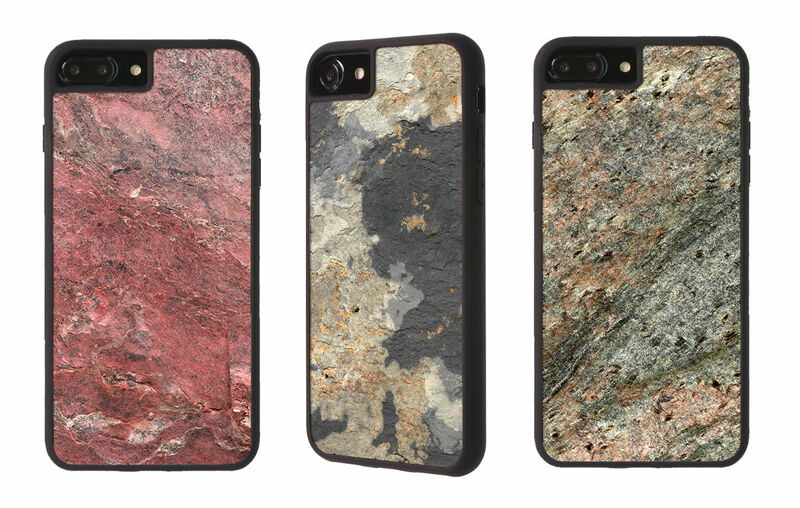 As you can see from the header image, this lineup features slates of real rock, so naturally, they’re called RÖK cases. There are a few options to choose from: Space, Meteor, Aztec, Mars, Crater, Volcanic, and Canyon. You’ll find that each has a particular color and texture, and provided that real rock is being used, no two cases are exactly alike. Beyond the rock being used, the cases are constructed using a mixture of hard plastic and flexible rubber, hopefully providing your phone with enough protection to survive drops and tumbles. If you’re interested in grabbing yourself a RÖK case, each model costs $39.95. The cases are made right here in the USA, Virginia Beach, VA to be exact. We have a Mars unit for the Galaxy S8+ coming into the office this week that I will share impressions on ASAP. For a bit more detailed description into how each of the slates feel, or you want to buy one, check out WÜD Life’s website by following the link below.